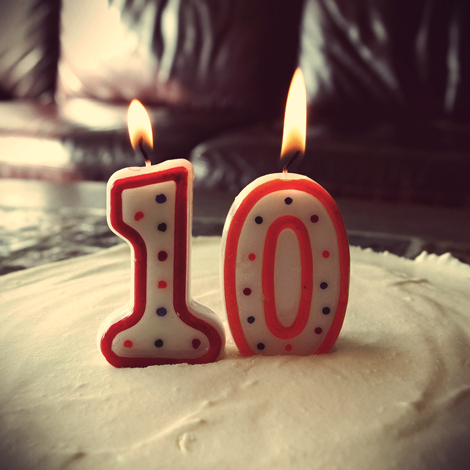 Chris Budd here from the desk of Indie Music Filter, officially marking this day as the 10th anniversary of when I started this blog. This hobby-turned-monster-of-an-experiment has been quite a ride (so far) and I still kind of feel like I’m only just getting started. I took a long look back through the archives, wondering if there would be a way to sum up 10 years in a playlist. Would I be able to keep it under 100 songs? Well, here’s my best attempt in this “Indie Music Filter Turns 10” playlist. I made a massive list of my favourite artists and songs; those heavily covered in the 4,900 posts on this site since 2006. A list of 350 songs became 192 and after a few more passes, I hit the 100 mark. These songs leftover were the ones that still to this day move me, the ones that have left that lasting mark. Also, I had no intention of spending days crafting the perfect order (and didn’t want to rank the songs in order of which I liked the best), so I randomized the order. Et voila! But before you go hitting play, I’d like to say a huge thank you to all the people that have contributed to this blog over the years, as well as a huge thank you to you, the music fan. What keeps me going is when I hear back from someone about a great song they heard on my blog, a playlist they shared with friends, or a new artist they became a fan of, because of something that was posted here. Thanks to those that RT, Like and share in helping me get the word out. Alright, let’s let the music speak for itself. Enjoy!